Our first visit of the year to our favorite location - Ravenglass. 125 miles, a lot on them on narrow, twisting roads, so not the most pleasant of journeys, but definitely worth the effort. A Thursday start, for a longer than usual 4 night trip. We always ask for a range of pitches when we book this site, and we got one of the ones we requested. Pitch no. 19, which it turns out is prone to flooding and was quite muddy on this occasion! Quite hard to get into as well, but luckily the warden was around to help. 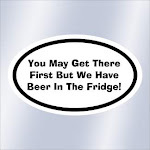 We won't include this one in our list next time. After setting everything up we went for a stroll along the "beach" and had a drink in a couple of the pubs - the Inn at Ravenglass and the Ratty Arms, both excellent pubs. Then it was back to the site for our first barbecue this year. Sunsets are usually pretty good here, and tonight was no exception. We woke up very early due to the dawn chorus, except it wasn't very pleasant. Just a load of crows cawing and flapping around our bird feeder at about 4am. 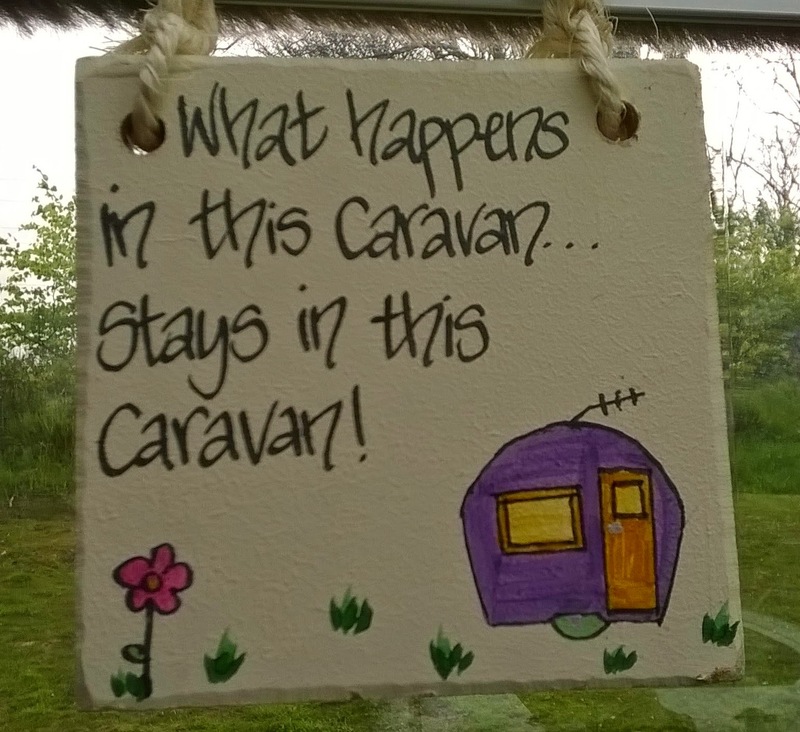 The final straw was when they starting walking on the caravan roof! 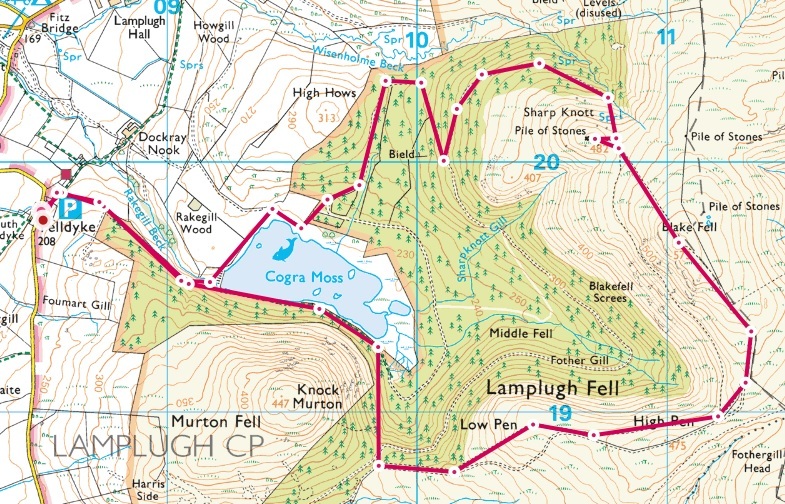 Then a long drive to the Loweswater area, for a walk around Cogra Moss, the high point being Blake Fell, 573 metres. Another Wainwright bagged. Plenty of dark cloud around, but it didn't rain much and turned out to be a pretty good day for walking. Great views of the bigger fells around Ennerdale, Crummock Water and Buttermere in the distance, but not a great day for pics. Stopped off for a quick drink in the Kirkstile Inn on the way back. Dinner in the caravan, then back to the village for another pretty good sunset and drinks in the same pubs as yesterday, plus the Pennington hotel. We woke up a bit later today, having bought the bird feeders in the night before. No crows, although they could still be heard in the distance! Another cloudy day, with rain forecast. Undeterred, we drove to Haverigg for an easy walk around Hodbarrow lagoon. We have been saving this for a rainy day. We were lucky, it didn't start raining until we got back to the car. Haverigg looks a bit run down and we didn't try either of the two pubs. Inside an RSPB hide, a nice place to shelter from the wind. On the way back we stopped at a couple of other pubs that we haven't been to before. Just a couple of half pints, they weren't as nice as any of the pubs in Ravenglass. 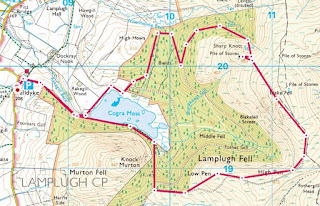 Like the Wainwright map, we have a "pub stops of the Lake District" map, so that's another couple ticked off. We also stopped at Bootle beach and grabbed some rocks for a rockery that J is working on at home. We had dinner in the Inn at Ravenglass, which was very nice but not cheap. After watching the sunset we popped into the Ratty Arms. The landlord had his guitar out and was singing, but we got there late and missed most of it. It was raining and windy when we woke up, but the rain soon stopped. We drove to Drigg and walked a couple of miles along the beach to Seascale, which is even more desolate than Haverigg. The plan was to have a roast dinner in a pub in Drigg on the way back, but there was a sign outside saying fully booked. Oh well, another time. A day of two halves, weather-wise. In the afternoon we had a walk around Ravenglass, the weather having improved to the point where it was too hot to sit outside in the sun. Then a salad each in the Ratty Arms. Sounds a bit dull, but their salads are exceptional, with lots of fruit in them as well as the usual stuff. Mixed seafood for D, mixed meats for J. Afterwards it was warm enough to sit on a bench and wait for the final sunset of the trip. Tonight was Ravenglass at its best. Quiet, peaceful, the only sound birds singing and the sea in the distance. Perfect. The long journey home was not helped by roadworks around Kendal, but apart from that it was uneventful. Nothing booked for a while. We will stay at home for the bank holiday heatwave and then see what sites are available.